This highly upgraded Quail Hill View Estate 5 bedroom home has been newly painted and sits on a lot that is over 7,400 SF! 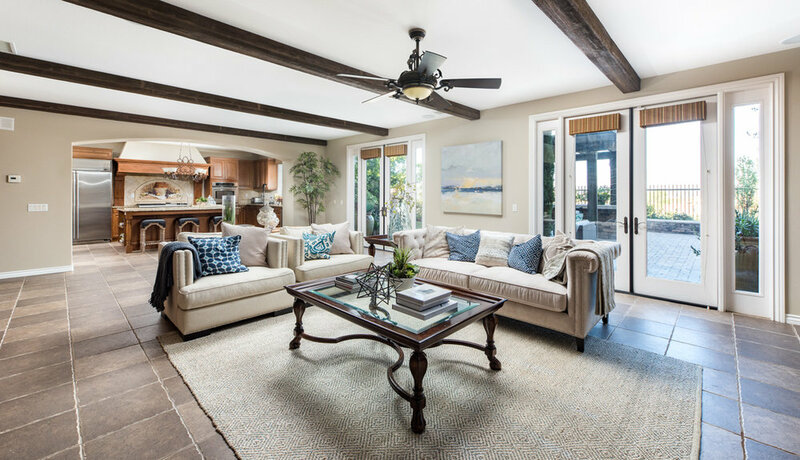 As you enter the home, you'll come to the formal living or sitting room, and separate formal dining room with beautiful chandelier which opens to the outdoor private patio with seating and plants to enjoy. 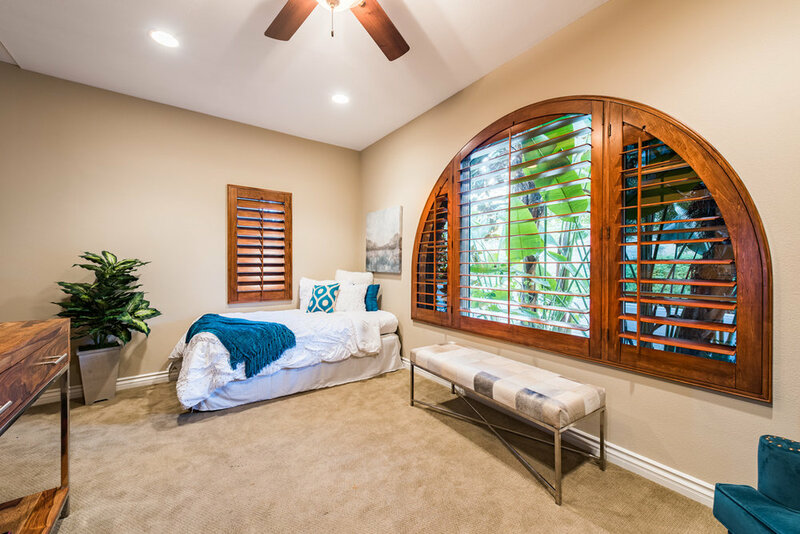 Throughout the downstairs, you'll find beautiful stone floors, a guest bedroom with full bath, and a secondary downstairs bedroom that can be used as a children's playroom. The amazing chef's kitchen has an open and spacious feel with breakfast nook seating. It comes with high end stainless steel appliances, range, and beautiful island. The kitchen opens to the extra large family room with built-in entertainment center and grand fireplace for relaxing at home. The upstairs living area boasts 3 generous sized bedrooms with 2 full bathrooms. The master bedroom has a separate retreat and beautiful balcony with views for miles. The master bath has been highly upgraded with a spa-like stone shower, oversized bath, and separate his and her sinks and counters. 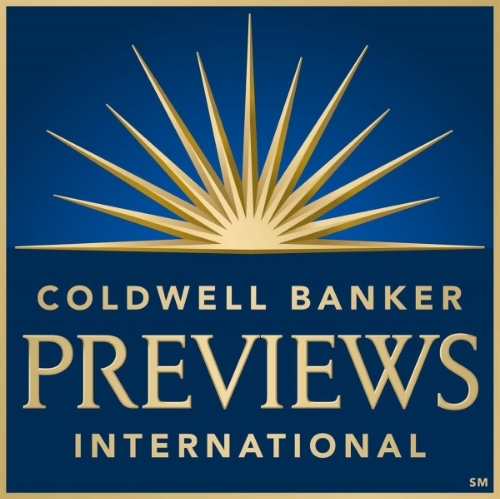 Additionally, there is a private gym off the master bath overlooking city lights. Can't beat this workout view! 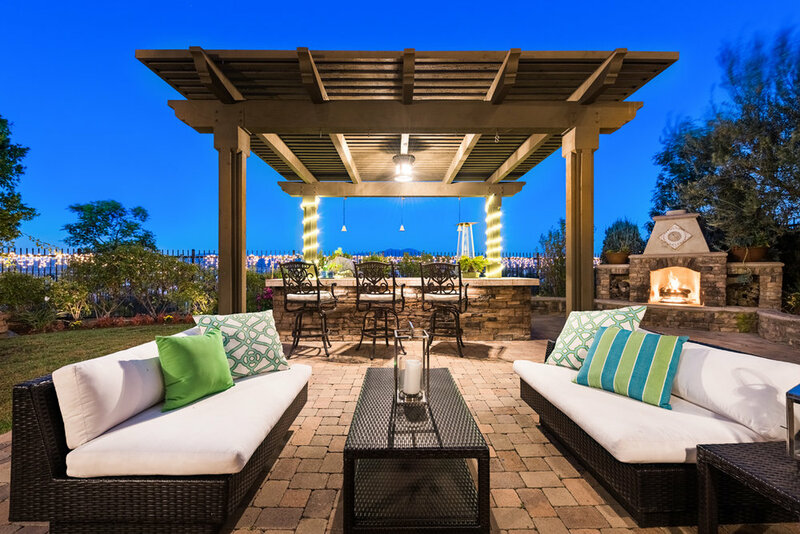 The upscale hardscape and grass area in the backyard comes with a built in BBQ and seating to enjoy amazing views of the city lights, Disneyland fireworks, and Irvine Spectrum. This beautiful home is located at the top of a tree lined Quail Hill community with 3 community pools, 5 parks, rolling hills and upscale fitness center in #1 University High School district! 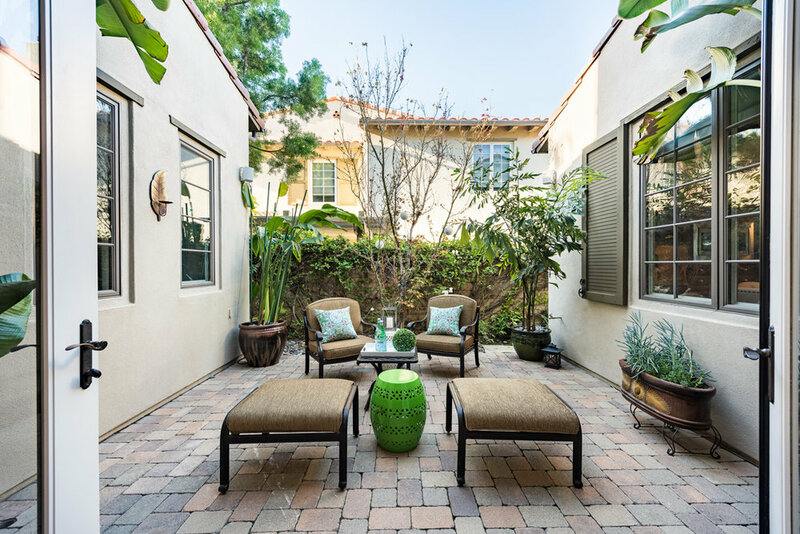 Ideally located in the heart of Orange County - close to shopping and only 7 miles to Laguna Beach. A must see! Please feel free to share this custom property website - www.20Silhouette.com - with others who may be interested in making this their home.